Croquet combines the strategy of chess, the skill of pool, and accuracy of golf into a game that can be enjoyed by almost anyone. 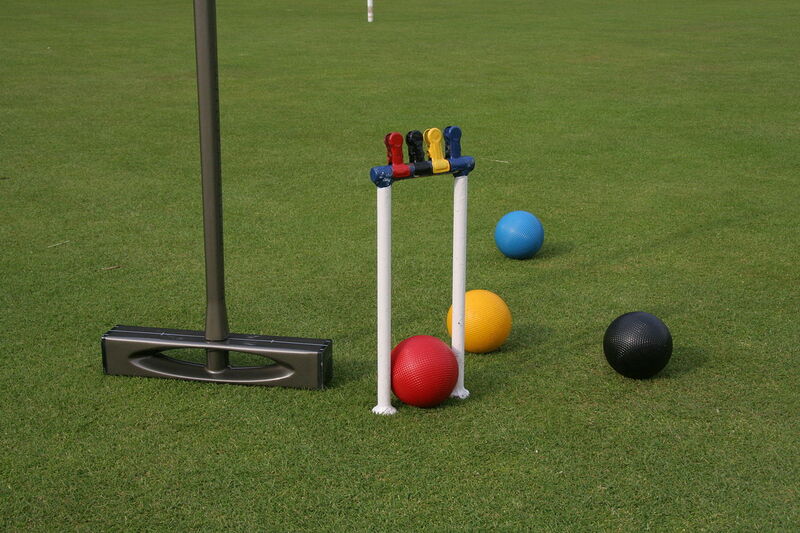 Developed in England in the middle 19th Century, croquet is played all around the world. Venice, in Sarasota County, Florida, is home to one of the best croquet courts in the country, boasting 6 full size courts of well maintained, expertly manicured grass. With top players calling it home, SCCC offers excellent instruction for beginners to experienced players in a friendly atmosphere. While the basics of the game are simple, the complexities will enthrall and challenge you. Come on by and give it a try! Croquet is not a game of strength and power; therefore it is played equally by men and women of all ages.